n my opinion the only reason to use base clear is if it is a metalic color. They are both urethane. The "progress so far" thread is single stage urethane. It's great stuff. Alot of "fancy" colors aren't available in single stage. For solid colors, there's no choice. It's cheaper to buy, easier to use and easier to repair if something happens. The shine is also deeper. single stage urethane 3-4 coats whats your input on that?? You're on to it. Just be careful near the edges. It'll be easy to distort body lines with a D/A. Use a few coats of primer / surfacer and let it cure, then go back and wet sand with 400. Dry, tack rag, and shoot the color. As long as it's 70 degrees in the shop, you'll be fine. Also, start out with a light coat, allow 20 minutes or so in between coats. The fourth coat should be your heaviest. Try not make it run, but keep the whole car wet so you don't get dry spots. (looks like overspray) Use 1000 grit to color sand before buffing. (eat a big bowl of wheaties that morning and have the Ben Gay ready) Let the paint cure at least two weeks if you're not going to bake it before you buff it out. Last edited by earthquake68; 10-27-2008 at 10:16 PM. I am using a orbital sander to sand it down to last primer coat than hand sanding. What grit should I use on last sand before I prime? You want to use no less than 600 grit before color and use a guide coat. I used PPG concept 4 coats then wetsanded and buffed. I painted mine in my garage. 600? really? I usually use 400 before color. I look at it this way, I can polish 400 grit scratches out of aluminum by hand to a mirror finish. Four coats of paint are easier to buff. This was a raw paint job in my Dad's garage. I never buffed it out. Of course, it was base/clear. There's nothing wrong with 600 grit, the surface will just be that much smoother when you shoot color. A wet sanded 400 grit finish on the primer will leave the primer glossy. Why go any further? <------33 years of being a professional painter, painting from Harley-Davidson to B-52's. There really is no such thing as a single stage urethane. Paint and furniture oils dry by 3 processes. I don't remember the furniture oil drying process, I'm not a woodworker, shoot me. The other 2 are solvent evaporation, and polymerization. The solvent one is how enamel & laquer, and the sort dry. Polyurethane, urethane, etc, dry by polymerization, a chemical process that takes place even in the absence of air, or oxygen. Do some research on the computer, google, ask, and what ever else you can think about, don't take my word for it, I just went to school!!! I'm going to chime in and take the other side of the argument. While S/S paint looks great freshly buffed out, I don't think it makes sense to paint with single stage. For one, if you're doing it at home, it's a one-shot deal when you paint. If you screw up, IN ANY WAY, it's harder to fix than with base/clear. Base goes on and flash dries within a few short minutes, and you can wetsand and buff clearcoat all day long to get out the boogers and produce a nice shine. Single-stage does not. That allows bugs, dust, painters clothes, hair and a lot more get into the paint. Even a good booth will have dust nibs and some boogers in a single stage paint ...a lot more when painted in the garage. Also easier to get runs. So, you almost HAVE to buff S/S out if you want the 'perfect' paint job. That leads to my second point, which is the worst characteristic of single-stage paints: If and when you do wetsand and buff out the paint (for that 'perfect' job), you essentially remove the thin layer of UV protectant that rises to the surface of the paint. That layer is what keeps it shiny for a long time. If you paint a red, orange, dark blue color, basically colors that tend to oxidize rapidly, you'll notice it will begin to oxidize and haze within a short amount of time. In fact, you'll get yourself into a cycle where every year you'll need to buff and wax it (a LOT) to keep it shining like it was once new. If the car spends much time outside, it'll begin to haze up faster ...like in a couple weeks. How do I know? I've seen it on a couple cars, one of which is a 62 Fairlane I own that I painted about 17 years ago. Money was tigher for me in those days and I went cheap thinking it was the way to go ...even went against the advice of a paint rep I knew at the time who prophosized what eventually would happen. The car is bright red and looked beautiful at first. But over time it wouldn't hold it's shine. I left it outside quite a bit and it wouldn't have faded as quickly if I'd had a garage to keep it in, in those days. It was the worst way I ever tried to save a buck. Two weeks after I would spend a day buffing it out, there it would be, starting to haze up again. I could wax it and make it less visible, but to my eye, it was undenyable that it would be hazzing up, even after a good wax job. I've seen it on other people's cars too, one is a buddy that has an orange car. It's simple, basic chemestry. You expose the paint particles that capture oxygen, it'll do so. Lighter colors aren't as bad, but they also will oxidize faster. A clear coat over the paint keeps it's shine due to the clearcoat acting as a UV protector. Your car will hold it's shine a LOT longer. You won't need to wax it, unless you want that super hand slick feel. Once nice characteristic about B/C is how forgiving it is to the home painter. It's also extremely easy to make blends and panel repairs should damage happen years later. I've got cars that I've painted 10--12+ years ago sitting outside that have never seen the inside of a garage and their paint still looks like it was 'dipped' in glass ...as good as the day I buffed it out. Never a wax job. That's saying something! Some downfalls with B/C are if you get mild scratches in dark colors it tends to show up as white scratches ...where they would probably be less visible in a single stage paint. Guys point this out a lot, but, it's way overblown. One of those nice 12+ year old paint jobs that sit outside is a black Toyota 4x4 I have. There aren't any white scratches on it ..and I always have guys asking me to buy it. 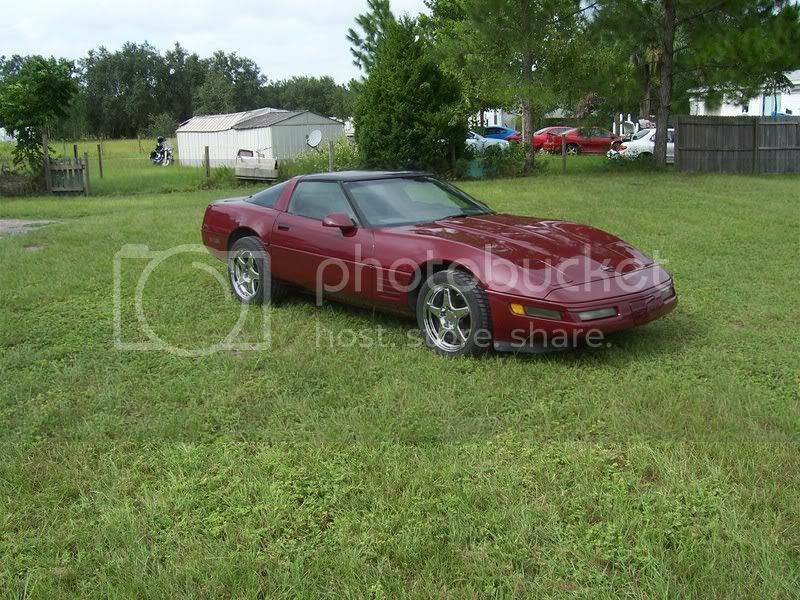 Another is a dark red Caddy I have. They are just maintenance-free paint jobs. I wetsand and buff all my paints out right away after spraying and I mean they just look great, smooth as glass, and don't need re-buffing even after years in the elements. Another benefit of the clearcoat is chip resistance. That extra bit of clear urethane helps absorb rock and other road impacts and therefore fewer chips (it's not the hardness, but the ability to absorb inpacts). And this 'deep shine' stuff is funny to interpret. You hear that a lot. Funny thing is, people that paint base-clear say the exact same thing about their paint jobs. If you do a good job wetsanding and buffing, even an experienced painter will be challenged to tell if it's a base/clear paint job or single/stage. One benefit to single/stage paints is it's a lot faster to apply. You have 3 coats (or so) and you're done. 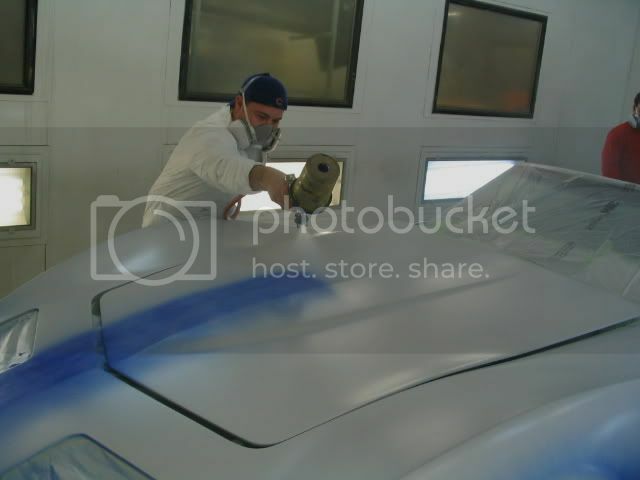 If you're painting a taxi or a work truck, or a MACCO job, where time is a major cost of the paint job, it makes sense. It's also cheaper. But on a time-honored classic, to me, it's the wrong place to pinch pennies. Even a no-name clear like Evercoat Euro Clear, which is good quality, but not too popular is much better IMO than going S/S. So there you have it. Another opinion to consider. 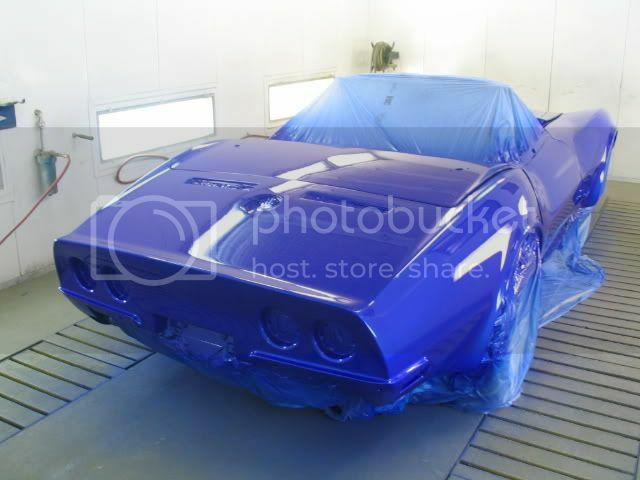 Personally, I can't see any enough advantages over S/S on a Vette to recommend it, especially on a car one wants to get that 'perfect' paint job on ...and keep it shining maintenance-free for a long time. Best of luck on whatever you decide. I decided on single stage because I was painting solid black and my car is always garaged. I think if you are painting solid white or black ss is hard to beat. And also I had many recommendations for the PPG concept ss, which believe me is not cheap. But Mark G makes lots of good points, I read many articles and spent alot of time on paint and body forums before choosing and he is correct on what he is telling you and seems to have a lot of experience.So you should listen to his advice and decide what is best in your situation. I am no painter, just the guy who paid the bill for the paint on mine. My black car after 2.5 years with single stage still looks as good as it ever did. I stripped mine to bare fiberglass and the painter took it from there. It stays in the garage and only sees about 3-5 full days outside per year, (3 of them being at Carlisle). 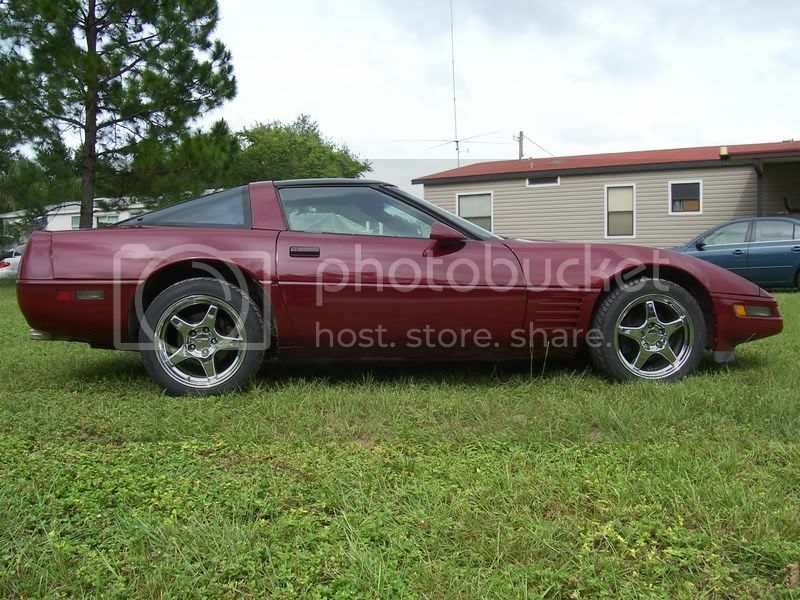 I purchase a 78 Corvette in July 2008. It was just painted with Nason Urethane Single Stage Red Paint Victory Red. The paint is 120 day old. The car is garaged and under a cover at all times. 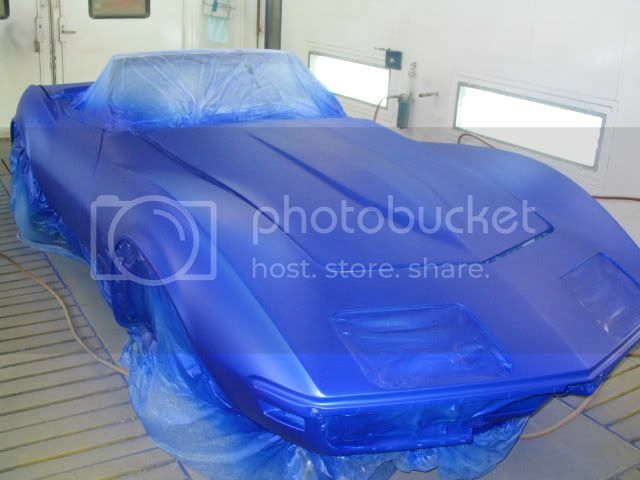 1) Any limitations on length of time in which the car can be color sanded and buffed? 2) If you have the paint brand, material type and factory paint code -- How close will the paint match the repainted color? 3) I need to touch up some of the jams on the car. Bottom of the door, t-top mounting area and etc. Any helpful hints? 4) I will be installting a 78 Pace Car Rear spoiler. 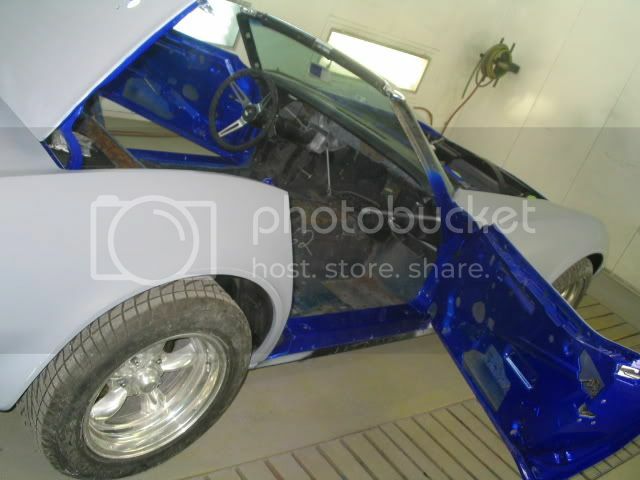 Is it best to paint by the paint code or to take a painted T-TOP in to match that paint? I wish I still had pictures of it. One day I was bored in the shop. I took a Camaro deck lid and prepped it. I shot four coats of S/S black. Wet sanded with 600 grit. Layed out brilliant blue and violet pearl metallic flames. Cleared it. Wet sanded with 600 again. layed out ghost flames inbetween the other flames. Cleared it again. Wet sanded with 1200 and buffed. Completely impractical for a car that would get driven, but man, that looked good if I do say so myself. Back when I had the bodyshop, I used to play around like that every once in a while. Hey Mark, Just curious, but did you ever do anything like that? It sounds like you would probably come up with some really cool stuff. All good info on this thread. I like to learn new stuff. The more I know, the less I know, ....ya' know? 1)no, but its easier to do the sooner you do it. 2)single stage is hard to match, especially Nason brand. I can get two gallons of Nason mixed back to back in the same color and it wont be the same shade. Nason is the cheap line of Dupont. 3)get a brush and go at it. Small areas wont show up even if the color is off. I would do thin coats and build it up after its dried and then maybe wetsand the areas lightly after a good build up and buff/wax. paints, or with single stage paints. Take a t-top or gas cap in to have it computer scanned and use that. Spray a test card first and make sure its close, if not have the paint shop tint the paint till it matches. The cars paint is 120 days old. Is ity better to take the paint code or computer scan? The car is in storage for the winter. The car looks quite abit different than I pick it up. It's has the correct wheels and tires. I did purchase a 78 stock hood that is light yellow. 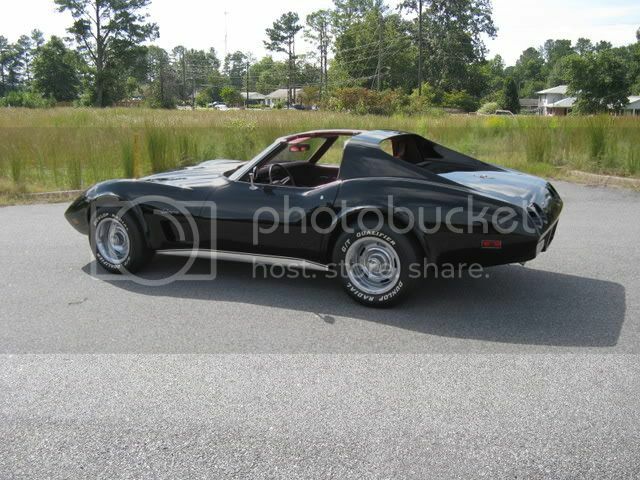 I am looking at having the hood painted and the pace car rear spoiler. The car was painted with single stage Nason. The car has been under a cover since I purchased it. It is paint color, reducer and hardner. Not a base coat clear. A lot of good info here but Mark G said it best clear coat base coat systems were developed for UV protection, basically protection against the sun. I remember the GM cars in th 80's before they went to clear coat the silvers and the reds especially would fade out within the first couple of years. And there were no paint warranties back then you were stuck with a flat paint job. The guy with the red single stage red, that car could start to fade very easily if it spends any significant time in the sun although I know that the newer urethanes are better than they used to be. But they wont protect against UV as well as clear coat. I think that you get a deeper shine with clear coat and it's more forgiving when it comes to buffing out imperfections like dirt or runs. We just painted my car this weekend have a look.